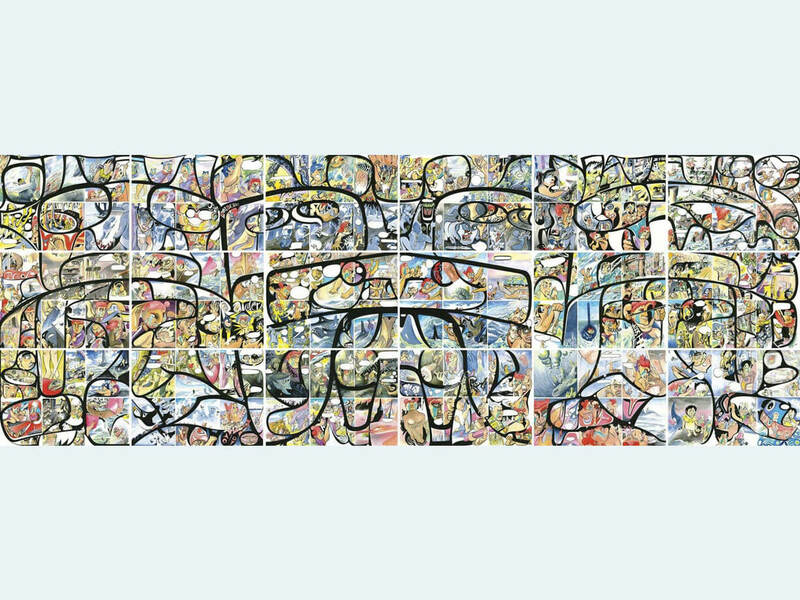 Proofing the digital capture of artwork is usually done in-house, but since this piece is enormous, we had to make a house call! We meticulously color-corrected this against the original that is currently hanging in the Seattle Art Museum. Our Cold Press (Textured) Arches Aquarelle® museum grade watercolor paper was the perfect choice and the fine folks over at SAM were thrilled! To learn more about our fine art printing services, check out our Giclée Fine Art Printing page. Thanks again for the excellent job your team did. The Canvas prints are fabulous!!! 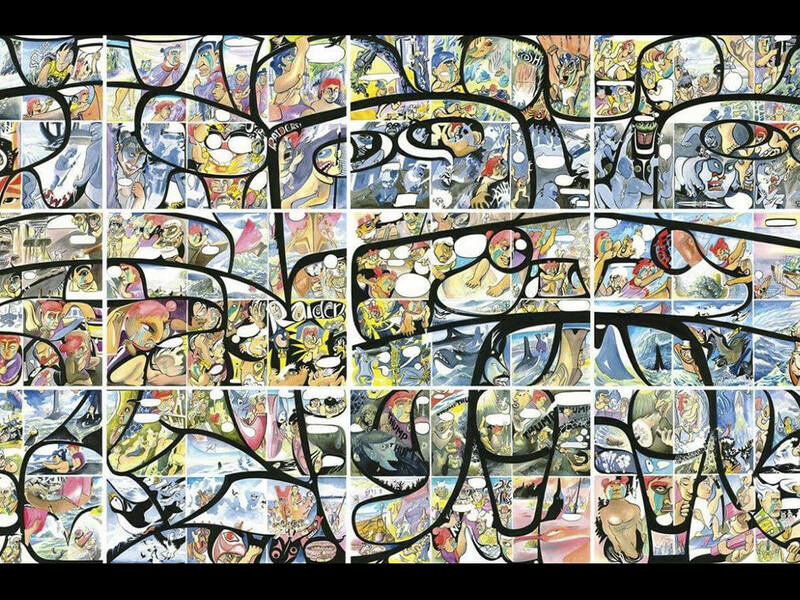 Artist Michael Nicoll Yahgulanaas,created this piece, ‘RED,’ a Haida manga, or ‘Haida graphic narrative’ (Haida Gwaii first nations people). It is composed of several watercolors, each one being a part of the story, not unlike storyboards in a graphic novel or comic.